Pondering the postwar scale modeling boom, as well as where scale model enthusiasts are getting their fix today. Hey all, Ernie here with a piece from resident enthusiast David Buck, who is enthused about building things at small sizes. 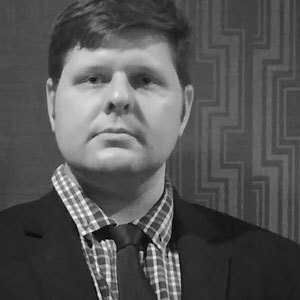 Read on to see his scale-model insights. Zine, zine zine, zine is the word: Haven’t you heard? 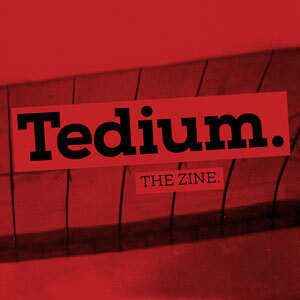 We’re making a freaking zine! A physical one. It’s gonna be awesome. But we need your support to make it happen. Read the details here and support us on Patreon at a $5 level or above to get your hands on something tangible. (There's also an $8 tier for international fans as well!) Act now before you miss your shot. The amount in royalties Ed "Big Daddy" Roth, an iconic hot rod artist, made during the first year of his Revell scale model line in 1963. The company offered Roth a one cent royalty per model sold and they sold well. His custom hot rod designs and cartoon artwork inspired their own scale model versions. 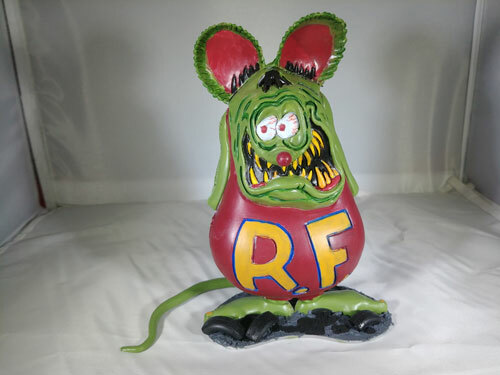 Per Roth's 1989 autobiography Confessions of a Rat Fink: the Life and Times of Ed "Big Daddy" Roth, the models—including Rat Fink, the Outlaw, Tweedy Pie, The Beatnik Bandit, Surfite and many more—are highly sought after collector's items today. 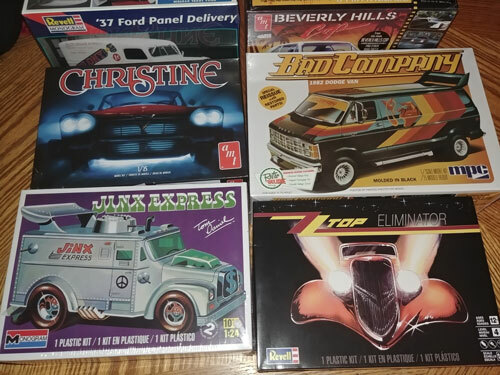 While that was technically true at the time of the book's publication—1992—several of his more popular kits were reissued by Revell in 2012, including Rat Fink and Tweedy Pie. Other kits still go for crazy prices on eBay, but you may get lucky—as I did—and find a few Roth masterpieces locally. Throughout history, scale models have been used to represent everything from troop formations to the prototypes of the great inventors and beyond. They're still heavily used in architecture and occasionally in films, but gone are the days when one could walk into a hobby shop and find walls lined with plastic scale models or see one as the centerpiece of a science fiction television program. During the 1930s and 1940s, prior to Revell pioneering the use of plastics to create their own model kits, most models were made of wood. Ships in bottles had already been around since the 1700s, but it wasn't until the 1950s that plastic models became popular. By 1956, popular Boy Scouts magazine Boys Life said 80% of boys would become builders of scale models. Around the same time Revell was just learning to use injected molded plastic to create their model kits, something interesting was happening more than halfway across the country in Chicago. Two former employees of a company called Comet Kits decided to break away and form their own model company. Monogram was established in 1945, primarily focused on selling balsa wood plane kits. As Revell entered the plastic car market, so, too did Monogram. What followed were decades of competition, until Revell merged with Monogram in 1986. In 2007, the company was acquired by Hobbico, but continued releasing models under the Revell name until early this year, when Hobbico filed for chapter 11 bankruptcy. Despite this, Revell Germany lives on, continuing to produce model kits under the Revell name. Two other companies—Aluminum Model Toys (AMT) and Model Products Corporation (MPC) came along in 1948 and 1963 respectively—comprising the original "Big Four" model companies. They all competed with each other over the years until one by one, they were merged and eventually acquired by Round 2, LLC—a company that routinely re-releases kits from the days of models past. A fraction of the author's unbuilt collection. All of the "big four" companies are represented. Aside from the "Big Four" American companies, the Korea-based Academy and Italy's Italeri were both founded in the 1960s, competing in the global market along with my personal favorite company Japan's Tamiya, who originally made those wooden models we mentioned a few paragraphs ago in the 1940s. That is, until they also transitioned into plastic models in 1959. 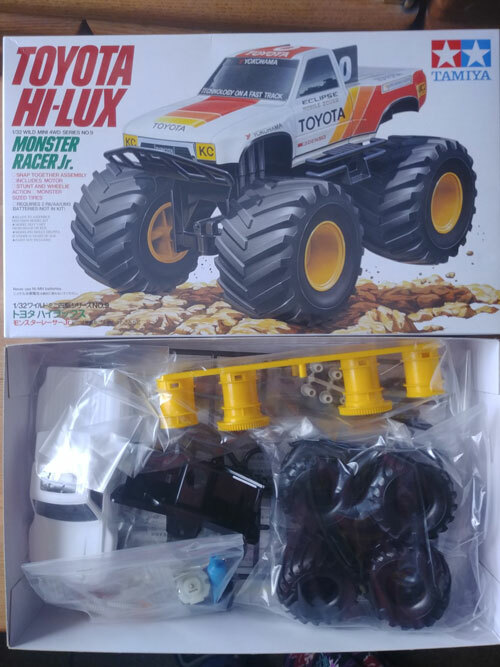 A motorized Tamiya kit. Via the author. Today, the name Tamiya is synonymous with high quality model kits. Known predominantly for military vehicles, they also sell car and motorized kits, in addition to their fantastic paints and primer. "Authenticity is what made models more than kid stuff." — Jack Besser, president of Monogram, discussing the popularity of scale models at the time in the December, 1960 issue of Popular Mechanics. The idea that models were more than mere toys continued to gain steam until it became the arguably more adult-oriented hobby it is today. Back in the United States, Revell prided itself on high quality, accurate models and, in 1961, that very dedication raised some concern from a nervous Navy Vice Admiral. Per the Jun. 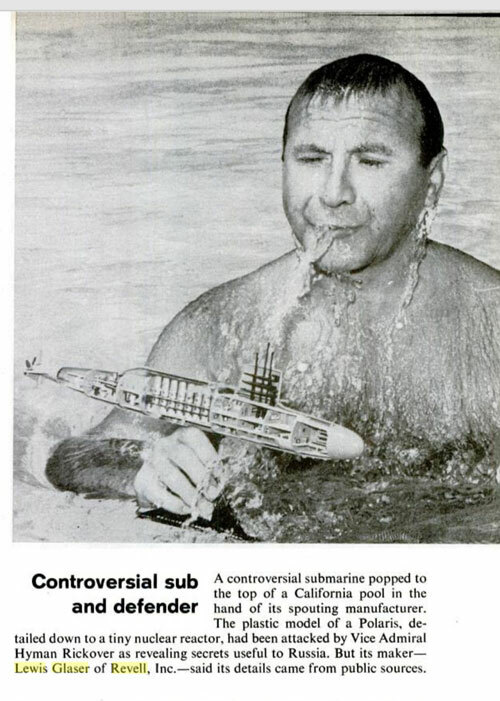 30, 1961 issue of LIFE Magazine, a Polaris submarine kit made by the company was so realistic that Vice Admiral Hyman Rickover felt the kit was a national security risk. Why? Because he felt the detailed parts were basically giving away submarine construction information to the Russians. This proved to be untrue, however, as Glaser found all the information used to create the kit from publicly available sources. While it seems the glory days of scale modeling drove—or, perhaps flew—into the sunset long ago, there was a time when building 1/24, 1/48 and 1/72 scale replicas of cars, planes, military vehicles and rockets was once among the most popular hobbies in the United States. Not only that, but hobbying was big business in the 1960s, generating over $100,000,000 in sales through the early 1960s. Strict attention to detail has made models important to the aviation industry, and many modifications have resulted from tests of models, saving a great deal of expense in plane production. Electronic engineers are using miniature planes to test guidance systems, and the time may come a time when there will be kits for the construction of planes that can be guided electronically. The magazine goes on to mention miniatures of an atomic reactor being used to educate school children about the peaceful uses of atomic energy and educating children in Ghana about aviation via scale models of planes. In the American auto industry, AMT made promotional model cars—pre-built scale models car salesmen would use to drum up consumer interest in a vehicle and demonstrate the look/feel of a vehicle. 18 years later, Popular Mechanics chose to revisit the subject in a longer feature, this time discussing more of the positive effects the hobby has on model builders and the constant desire to achieve the best tracks results with a variety of painting/finishing methods. It also features tips and tricks for building the perfect model! As time marched on, the magazine would continue to cover the hobby here and there and scale models continued to capture the public imagination through movies and TV shows like Thunderbirds and Star Trek. The length of the original filming model of the starship Enterprise. Per the Smithsonian, the actual size of the ship in the show was supposed to be 947 feet long and 417 feet in diameter. Model creator Walter Jeffries tested the concept in smaller scale, first with cardboard, then solid wood before creating the final product with a mix of poplar, plastic and sheet metal. Long after the series ended, Paramount studios donated the model to the Smithsonian. Between 2014 and 2016, the model was restored to its former glory by a dedicated restoration team. Under representing the Federation in style! Via the author. In 1966, a brand new science fiction television show called Star Trek arrived on NBC. You know the premise, the crew and the ship. 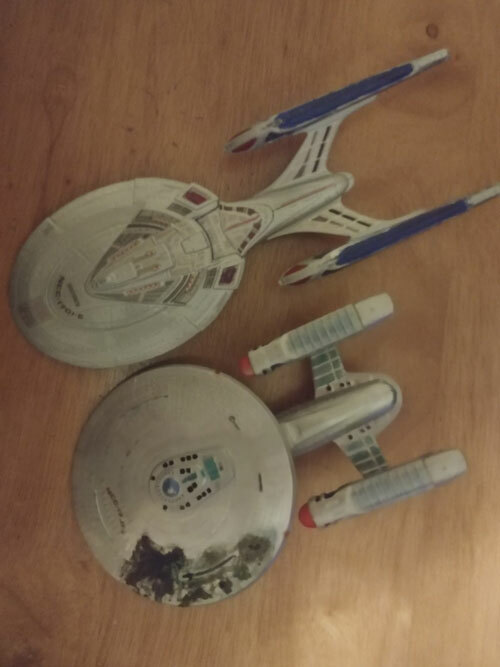 You may also be aware of the pop culture phenomenon Star Trek became with its five spinoff series, the extended book universe, video games, filk songs, toys and most recently RPG. But before all of that, before the movies and the conventions, there were the scale models. In the late 1960s, AMT acquired the Star Trek license and produced numerous kits based on the property. The original kit is perhaps the most built—or at least purchased—of those kits. It has a long and fascinating history, which the site Cult TV Man breaks down wonderfully at their site. Per Pocket Books’ The Star Trek: Deep Space Nine Companion, the various Trek kits had another purpose in a later iteration of the show—as cannon fodder. The Star Trek: Deep Space Nine season four episode "Way of the Warrior" features several AMT/ERTL kits in the ending battle sequence, being blown into cosmic dust. Though CGI has overtaken traditional effects in most modern shows, it's fun to say I recognized that inimitable AMT kit style from almost a light year away. The PBS station in West Virginia that broadcast Adventures in Scale Modeling from approximately 1984 to 1991. (The show is so obscure that it doesn't have either a Wikipedia page or an IMDb page.) It all came about when model glue and paint company Testors got together with South Carolina Educational TV and WSWP to create a how-to/history program about the hobby. Hosted by Mike Lech and Don Godish, the show educated kids across America about the joys, techniques and historic significance of various models from a '32 Ford to the USS Yorktown, the B-2 bomber and beyond. It isn't easy to find episodes of the show online and no VHS releases seem to exist, but there is a book about the show that's out of print now, but can be found on Amazon and through some libraries. These days, there seems to be some debate over whether the hobby is dying out (spoiler—it isn't). It has undergone significant changes, however. What was once was a very local activity with clubs and hobby shops is mostly online now. Yet the "is it dying" argument persists. 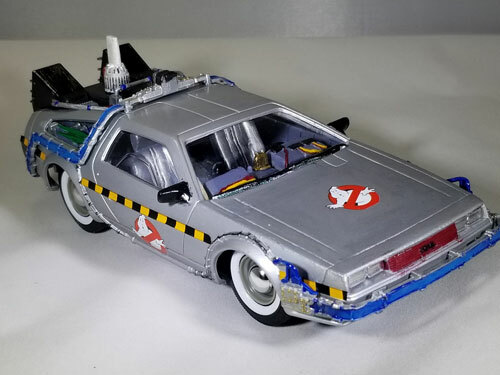 A Kit Bash of the Ecto-88 from Ernest Cline's Ready Player One by the author, using three different kits re-issued by Round 2. The chief concern appears to be the idea that younger generations are finding other, more digital distractions to fill their time and the hobby itself is becoming too expensive for its intended audience. While there may be some merit to these ideas, only time will truly tell the ultimate fate of the hobby. Another thing to consider is just how often people take up the hobby as kids and return to it in later years—just as I did a few years ago. As it stands, as recently as 2016, hobby, toy and game sales have been their highest in a over a decade. Games Workshop, the U.K.-based manufacturer of Citadel miniatures and Warhammer 40,000, is expecting to double its profits this year. 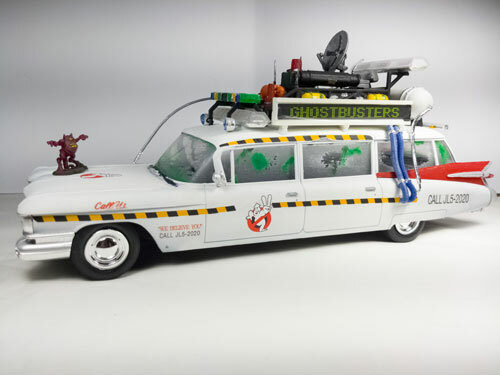 Although Games Workshop specializes in plastic miniatures and vehicles, their vehicle kits are simply scaled down, sci-fi model kits, similar to the classic kits of the past. The plastic is heavier duty than the polystyrene of other kits, but they are model kits nonetheless. GW even teamed up with Revell a few years ago for a line of Warhammer 40,000 "Build & Paint" kits, featuring their iconic ork and space marine vehicles. With the widespread popularity of miniature wargaming and the increasing popularity of RPGs like Dungeons & Dragons—a game that occasionally uses miniatures for battles and 3D modular maps like the ones made by Dwarven Forge—traditional scale modeling is naturally falling by the wayside. Its spirit lives on in the vehicle and terrain kits found in these games and the hobby itself maintains a niche of its own, with conventions, magazines, online communities and YouTube channels. Oh, and Popular Mechanics is still getting in on the scale model game—as recently as August of this year, they published an article with step-by-step instructions on how to build a scale model of the universe. While it may not be the same as the aircraft and motor vehicles of the past, it brings to bear an important point for this hobby—it isn't as popular as it once was, but there is still a place in the modern world for scale modeling in one form or another and according to the AARP, the hobby is good for your brain as you get older. So, get online, order a kit and have fun building. Just remember to cut—not twist—the parts off the sprue, always prime before painting and try not to glue your fingers together.